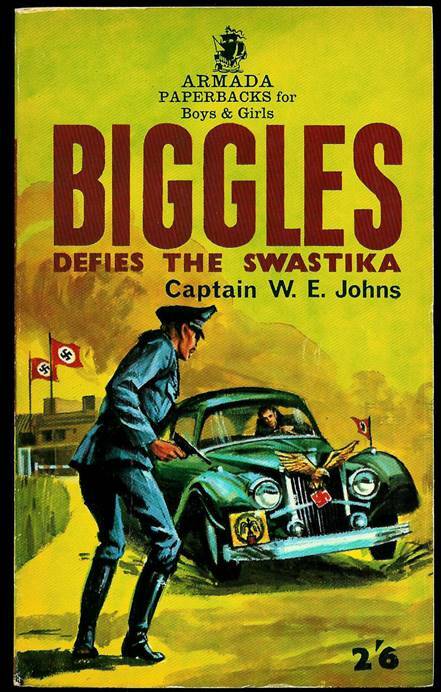 AFTER THAT, REPRINTS WITH NEW COVER ART WERE GIVEN THEIR OWN UNIQUE REFERENCE NUMBERS. 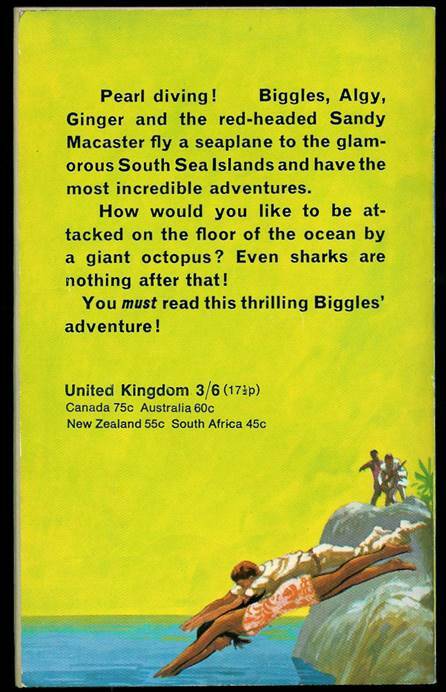 This paperback was FIRST published by Armada in 1962. This Armada reprint was then published in 1965. The text was reprinted using the same printing plates in terms of text but completely new illustrations on the illustration pages. 157 pages. No cover artist is credited. The illustrations in this book are really quite remarkable. 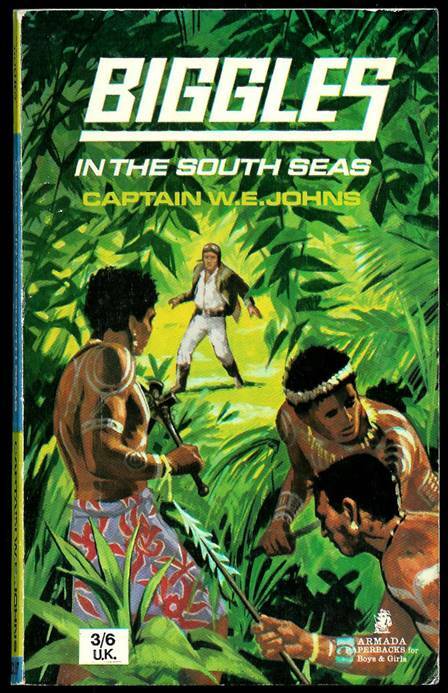 Whereas the first paperback version of this book, published by Armada contained the the SIX original illustrations from the first edition by ALFRED SINDALL – plus the map. The map remains the same but the six illustrations have all now all been RE-DRAWN by an unknown artist and put on the same pages 32, 47, 81, 100, 136 and 152. The illustrations are VERY similar to the originals. 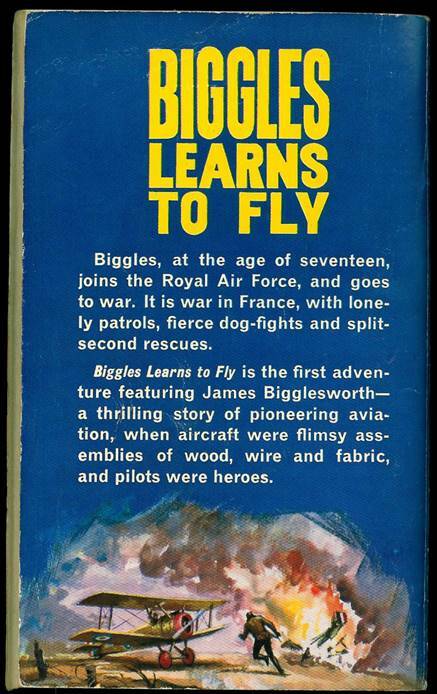 This paperback was FIRST published by Armada in 1962. This Armada reprint was then published in 1965. The text was reprinted using the same printing plates. 160 pages. No cover artist is credited. This book contained the SIX original illustrations from the first edition by ALFRED SINDALL. They are on pages 27, 46, 59, 102, 142 and 153. 159 pages. No cover artist is credited. 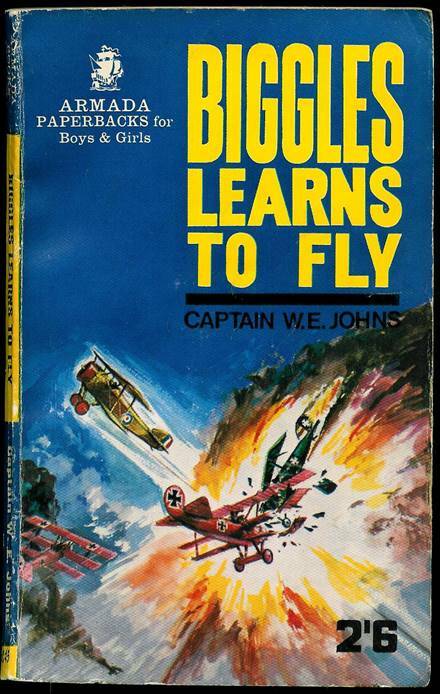 (This book still erroneously says that this was first published in 1941). 160 pages. No cover artist is credited. This book contained 4 original illustrations done for this book by an uncredited artist. They are on pages 22, 60, 92 and 147. There is a slight title change on page 3. 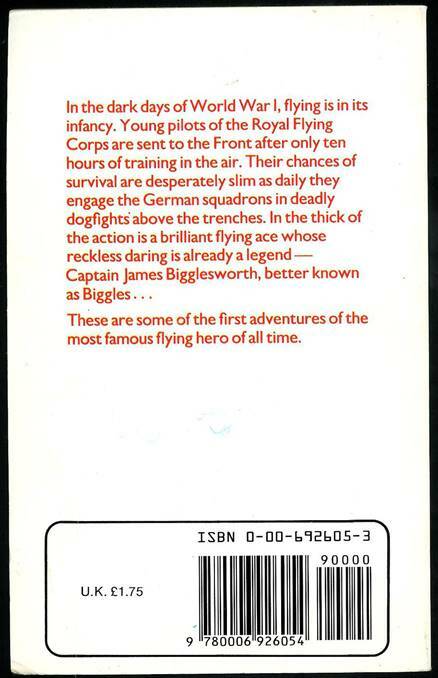 The original title was “Biggles – The Rescue Flight”, now the hyphen has been removed and it just reads “Biggles the Rescue Flight”. The spine has the same change. 158 pages. No cover artist is credited. 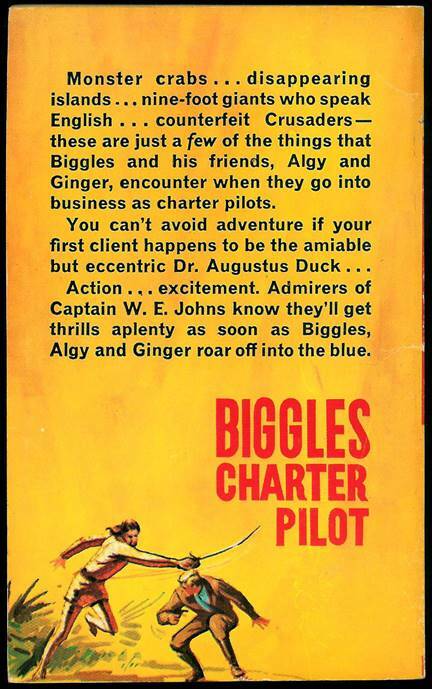 The hyphen between “Biggles” and “Charter” has also been removed from the spine. 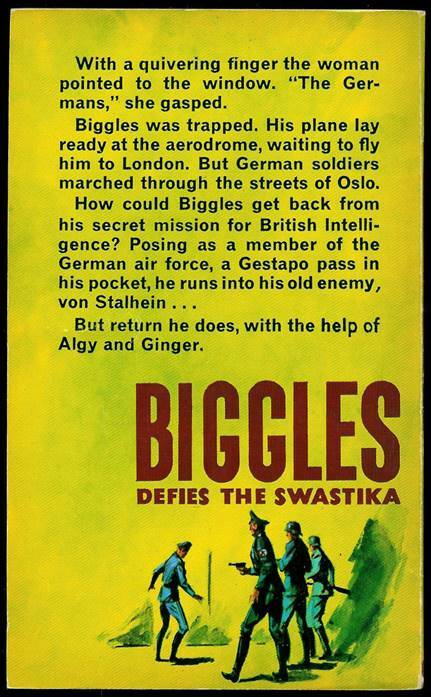 This paperback was FIRST published by Armada in 1963. 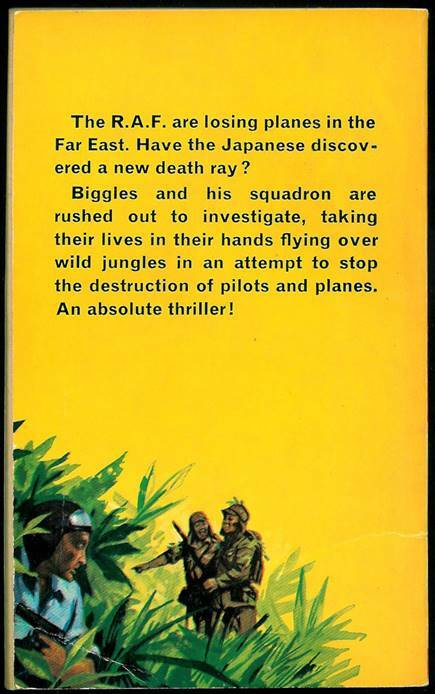 This Armada reprint was then published in 1965. The text was reprinted using the same printing plates. 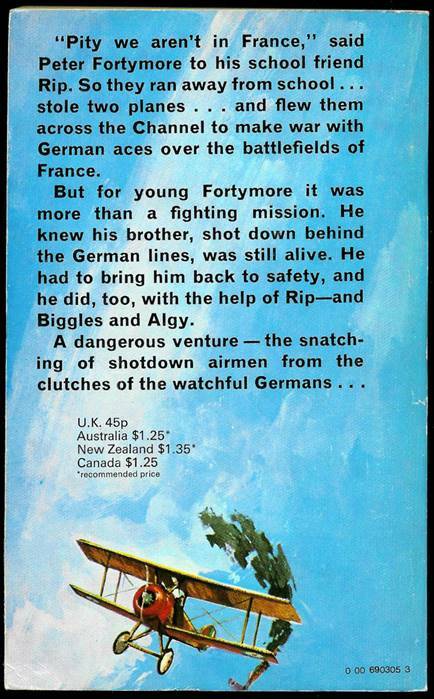 The original Armada paperback book contained no original illustrations but this reprint now contains one illustration – a frontispiece on page 4. No artist is credited. This book contained no original illustrations but it did have, on page 100, the map of Elephant Island which featured in the first edition. You can see that by clicking on the rear cover which takes you to all of the original illustrations in the first edition of this book. 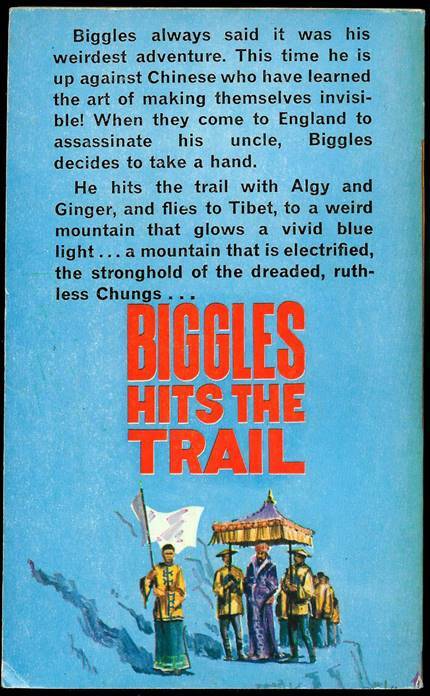 This paperback was FIRST published by Armada in 1963. This Armada reprint was then published in 1969. The text was reprinted using the same printing plates but with the addition of illustrations at the end of seven chapters. 159 pages. The cover art is credited to PETER ARCHER. 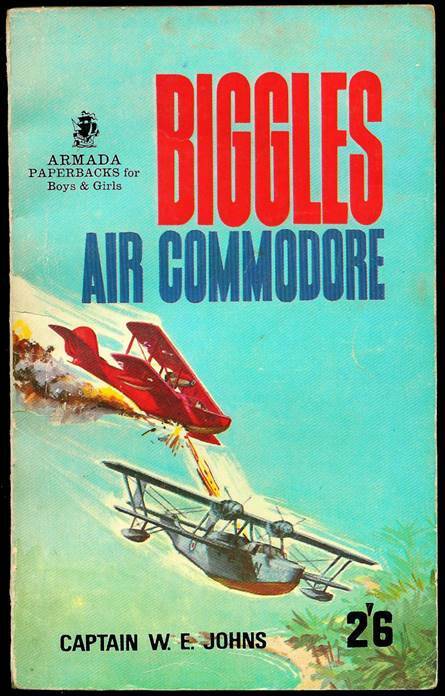 The original Armada paperback book contained no original illustrations, other than, on page 4, the map of the compound which featured in the first edition of the book. This reprint now contains 7 extra illustrations. The map on page 4 is still present but there are now illustrations added as small drawings at the end of 7 chapters. They are on pages 38, 49, 67, 77, 110, 120 and 148. No artist is credited. 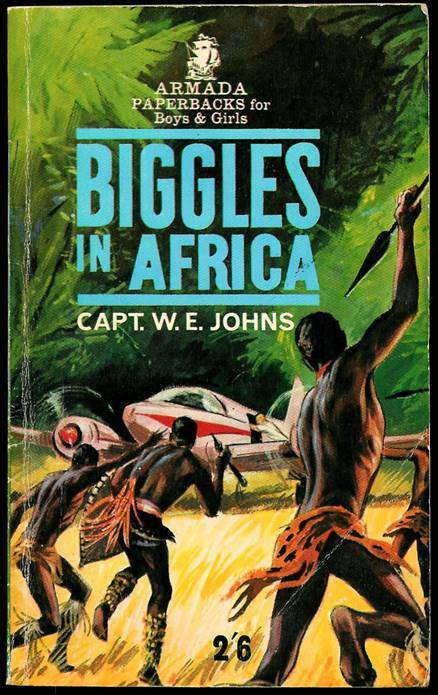 This paperback was FIRST published by Armada in 1962. This Armada reprint was then published in 1969. The text was reprinted using the same printing plates. 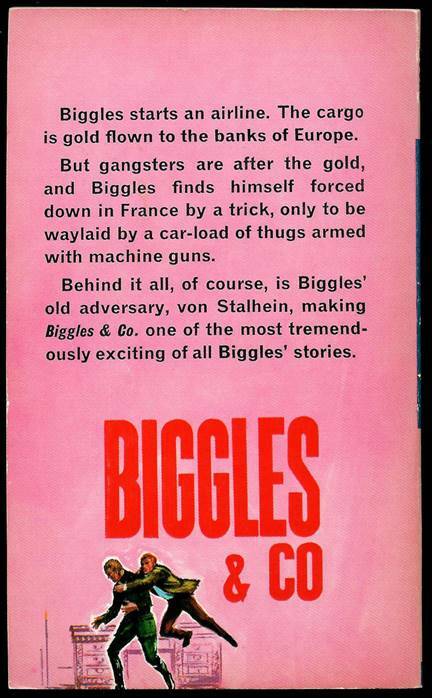 This paperback was FIRST published by Armada in 1965. This Armada reprint was then published in 1969. The text was reprinted using the same printing plates. 159 pages. 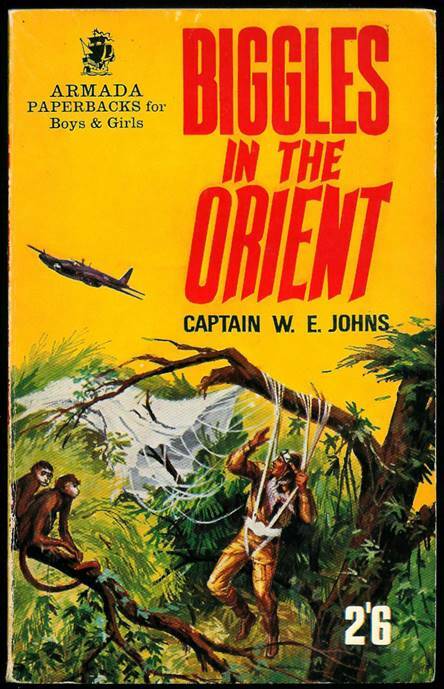 The cover art is credited to PETER ARCHER. 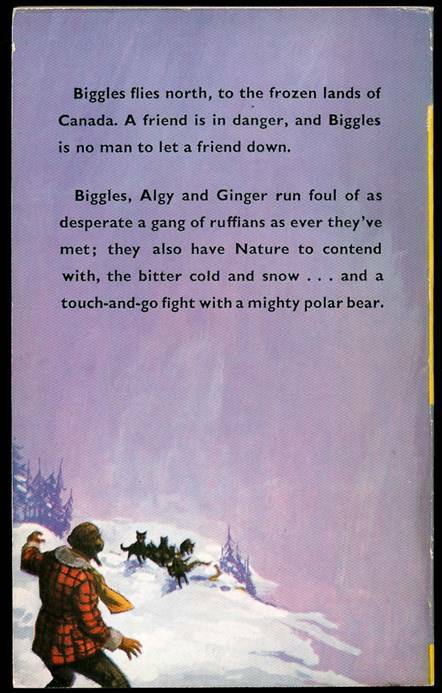 This book contained FIVE of the SIX original illustrations from the first edition by NORMAN HOWARD. They are on pages 26, 48, 101, 127 and 144. 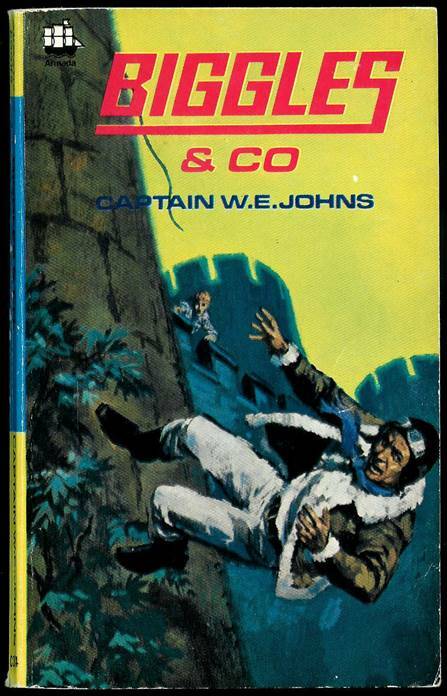 The missing illustration had originally been repainted by PETER ARCHER as the cover for the first Armada paperback version of this book. Now, with a new cover, it is missing completely. 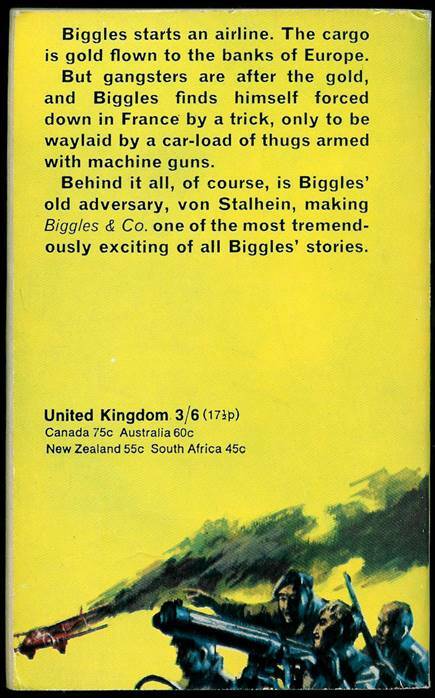 Click the rear cover to see all original illustrations from the first edition including the missing one – which is the third illustration down. 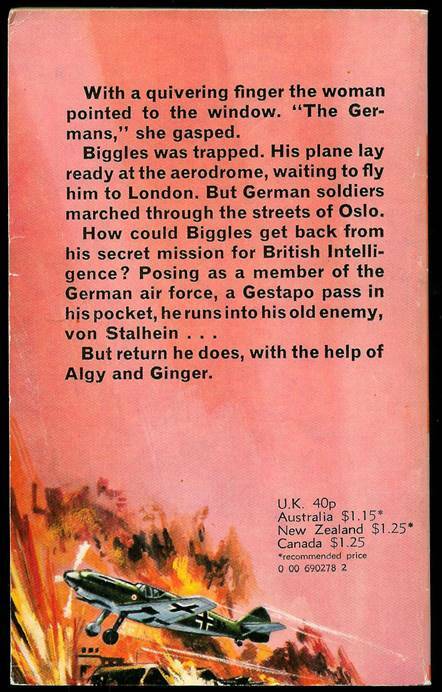 This paperback was FIRST published by Armada in 1966. This Armada reprint was then published in 1969. The text was reprinted using the same printing plates. 157 pages. The cover art is credited to PETER ARCHER. 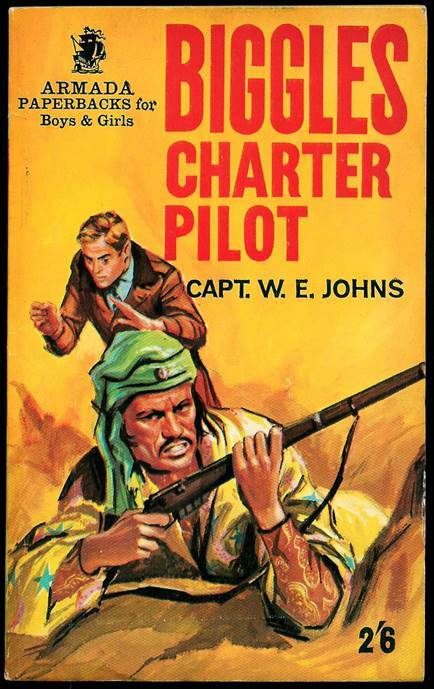 This book contained the SIX original illustrations from the first edition by WILL NARRAWAY, however what was originally the third illustration was moved to be a frontispiece. The illustrations are on pages 4, 38, 63, 103, 119 and 141. 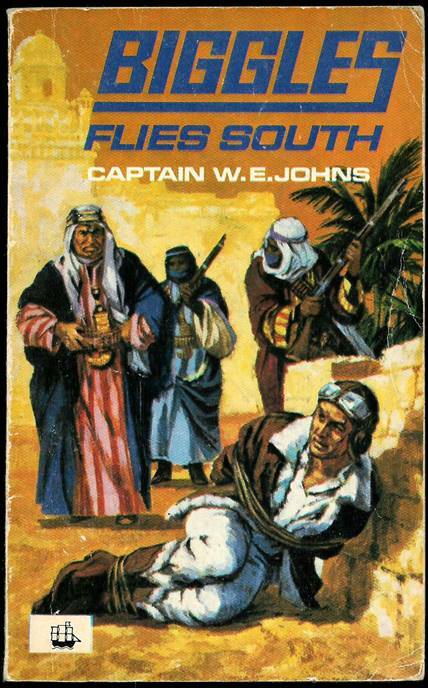 This book contained FIVE out of SIX of the original illustrations from the first edition by JACK NICOLLE – plus the map. They are on pages 4, 38 (the map), 69, 87, 126 and 147. You can see all the first edition illustrations by clicking on the rear cover. The first illustration after the map is the missing one. The third illustration of Ginger being attacked by a crocodile was moved to be a frontispiece. 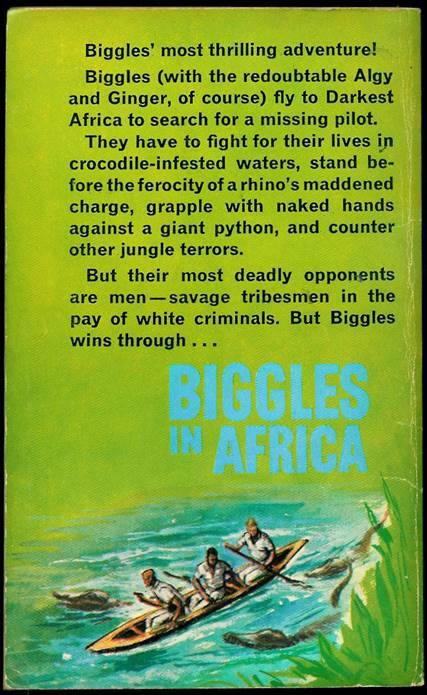 This paperback was FIRST published by Armada in 1963. This Armada reprint was then published in 1969. The text was reprinted using the same printing plates. 160 pages. 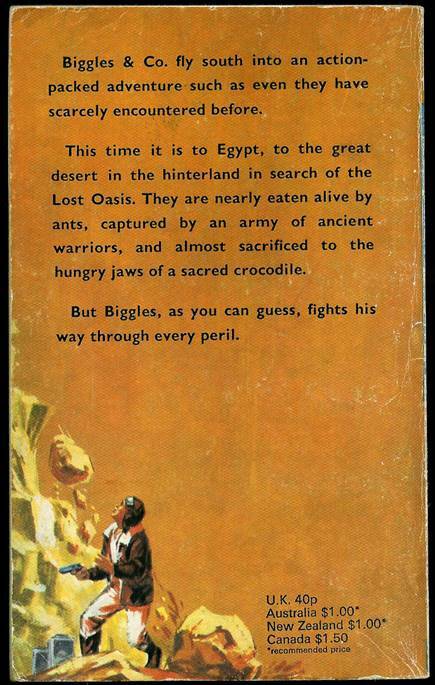 The cover art is credited to PETER ARCHER. 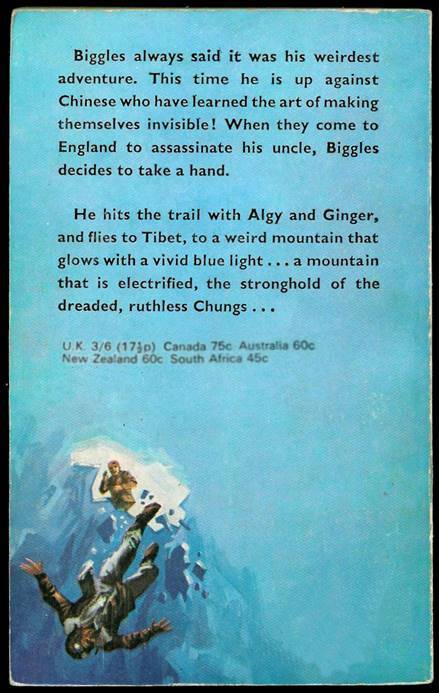 The original Armada paperback book contained no original illustrations but this reprint now contains one illustration – as did the 1965 reprint shown above - a frontispiece on page 4. No artist is credited. This book contained 4 original illustrations done for this book by an uncredited artist. They are on pages 22, 72, 99 and 115. 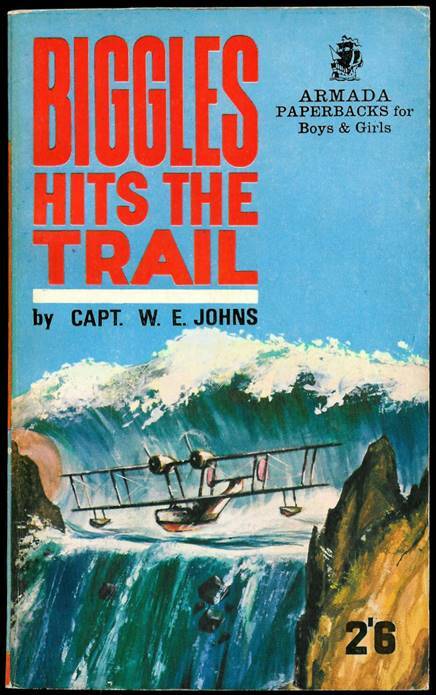 This paperback was FIRST published by Armada in 1962. This Armada reprint was then published in 1970. The text was reprinted using the same printing plates. 160 pages. 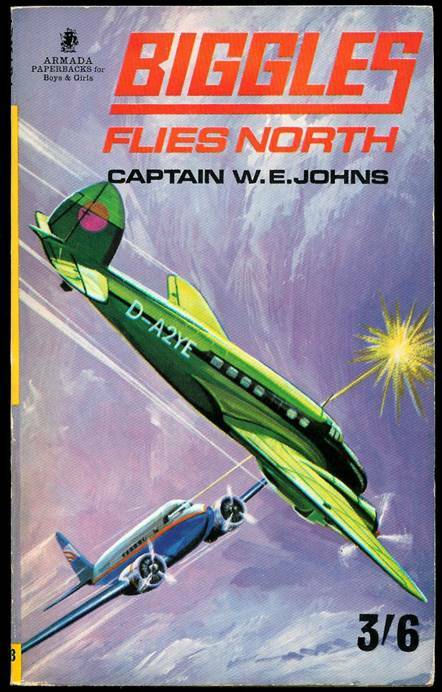 The cover art is credited to PETER ARCHER (although the book says “cover design by” rather than “cover illustration by” as previously). There is a third title change on pages 1 and 3. 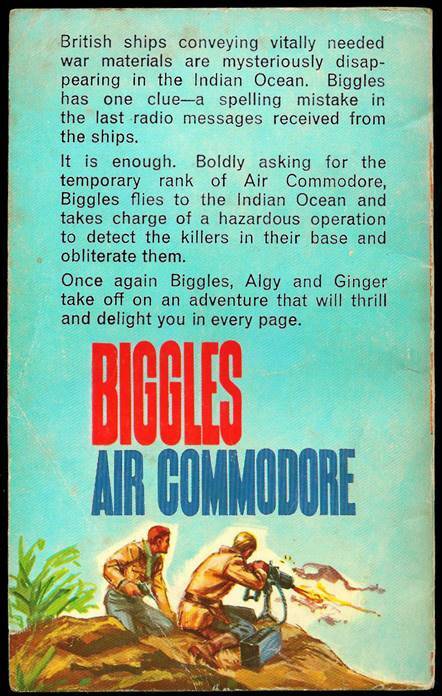 The original title of the first Armada paperback was “Biggles – The Rescue Flight”. 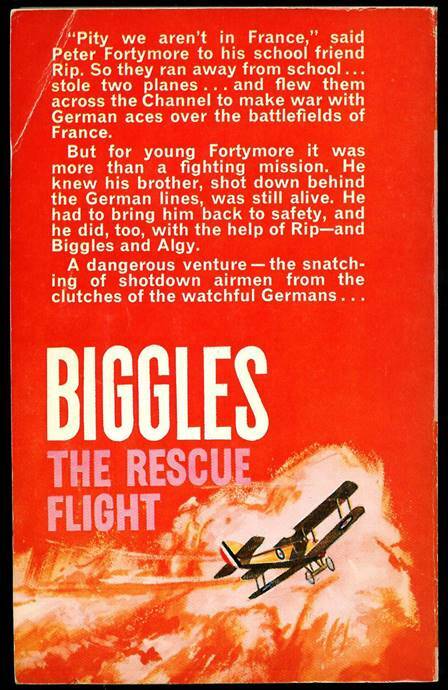 The 1965 reprint removed the hyphen so it was “Biggles the Rescue Flight”. 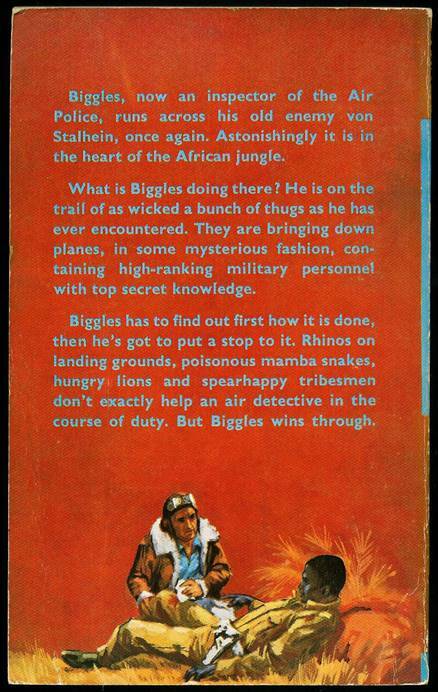 Now the book is called “Biggles AND the Rescue Flight”. 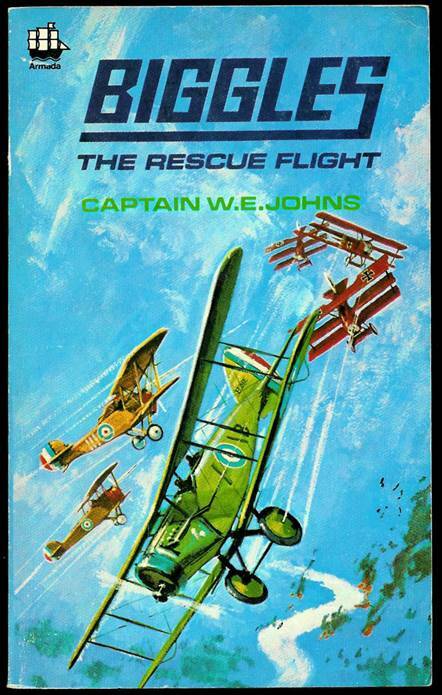 The front cover, however, still just has “Biggles The Rescue Flight” on separate lines and the spine reverts to the first Armada edition title of “Biggles – The Rescue Flight” with the hyphen again. 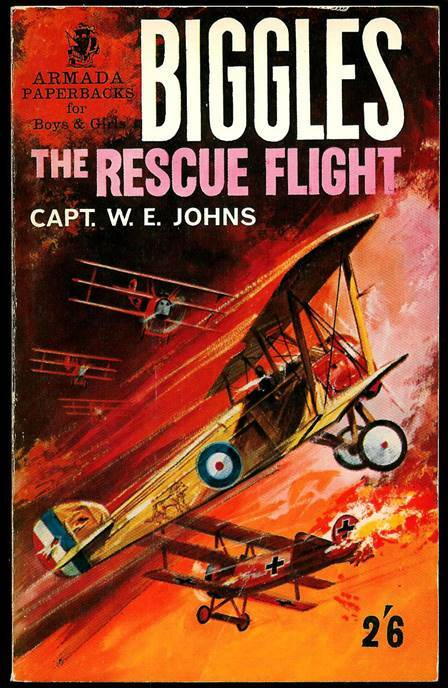 Of course, the original Oxford first edition of the book was just “The Rescue Flight” with “A Biggles Story” as a subtitle on the title page and no mention of Biggles anywhere on the cover! The prefix letter “C” has been dropped from the numbers now. 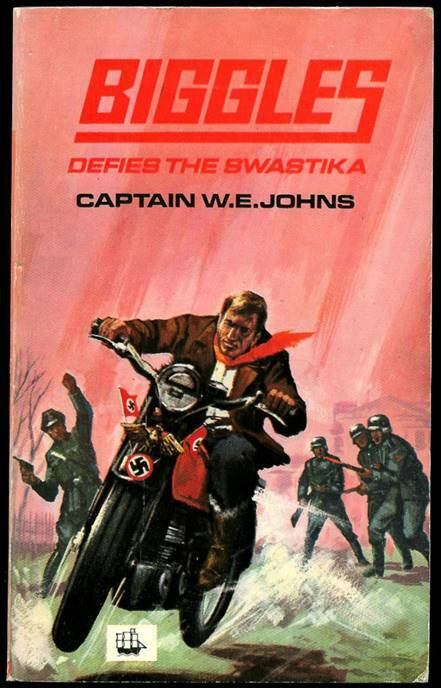 This paperback was FIRST published by Armada in 1982. 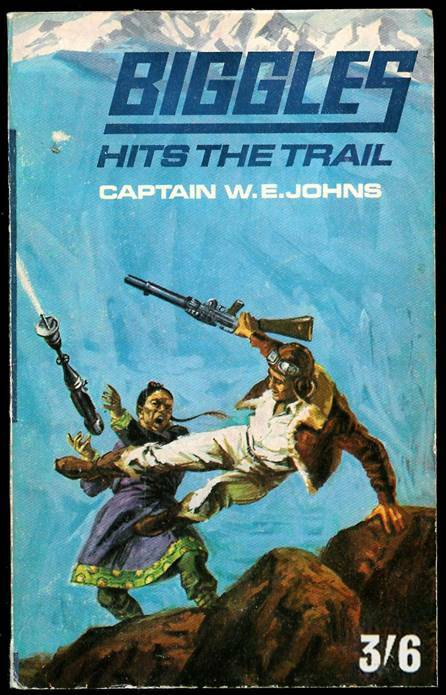 This Armada reprint was then published in 1985, no doubt to tie-in with the release of the film – hence the flash on the corner of the book. The text was reprinted using the same printing plates. 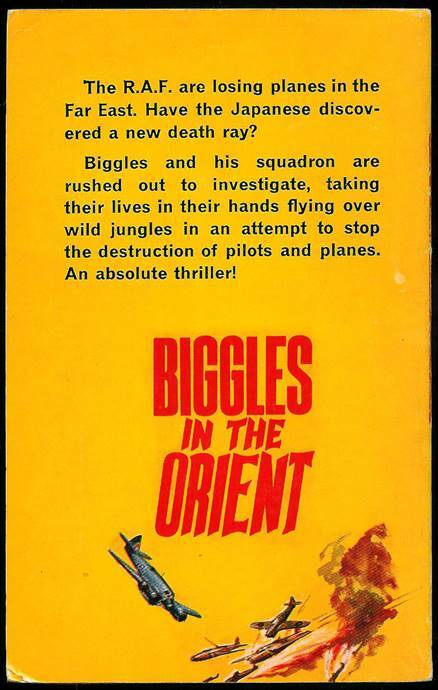 It had previously been the case that, with the exception of the first Armada edition of “Biggles in the Orient”, ALL Armada paperback Biggles books had artwork on both the front AND rear of the book. This book had no artwork on the rear. 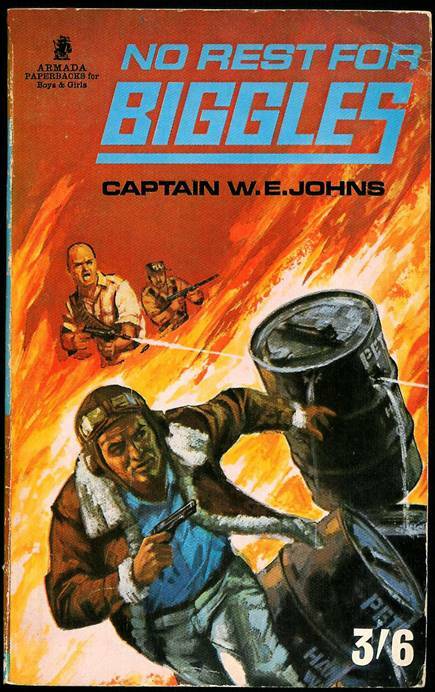 This paperback was FIRST published by Armada in 1982. 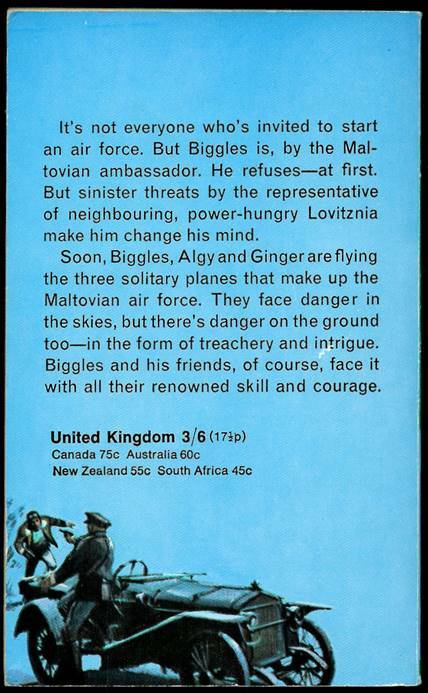 This Armada reprint was then published in 1985. The text was reprinted using the same printing plates. 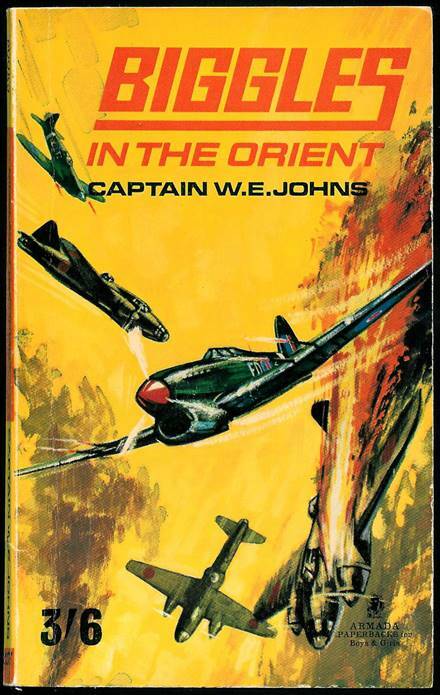 The printing information in this book said “First published in the U.K. in 1932 under the title “The Camels are Coming” by John Hamilton Ltd, London. 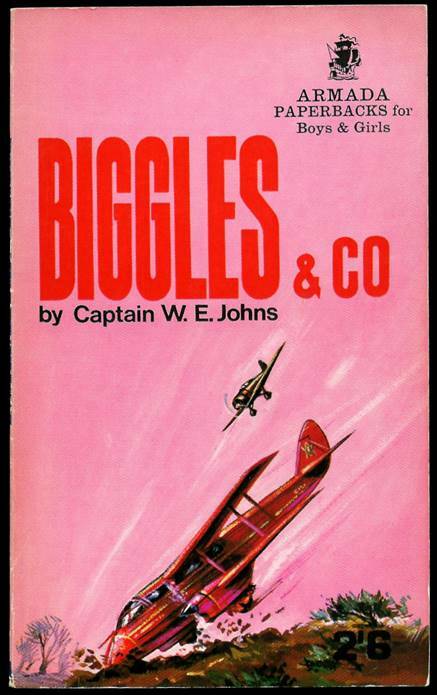 First published as “Biggles, Pioneer Air Fighter” in 1954 by Thames Publishing Co., London. 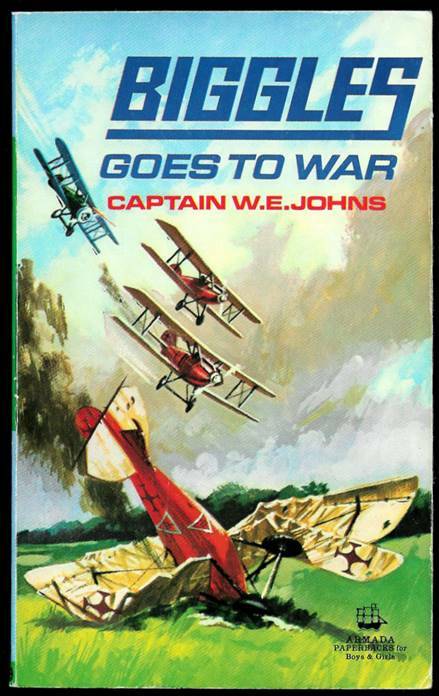 This edition was first published by Armada in 1982 by Fontana Paperbacks, 8 Grafton Street, London. W1X 3LA. This impression 1985. 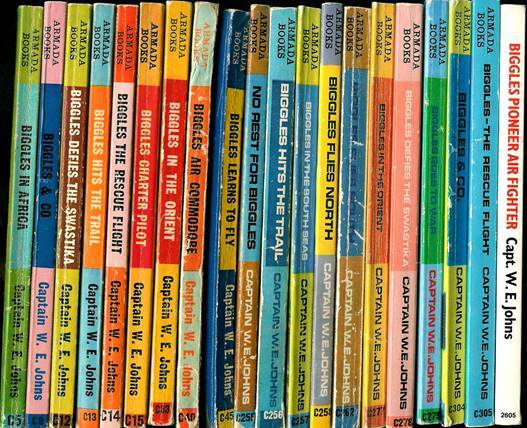 Armada is an imprint of Fontana Paperbacks, a division of the Collins Publishing Group”. 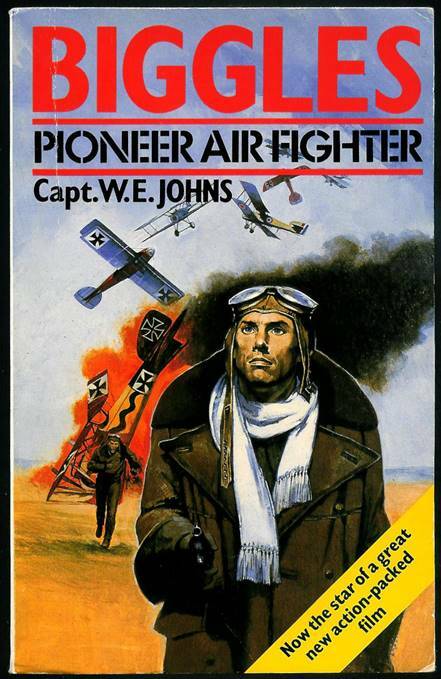 THE CAMELS ARE COMING – certain stories from Camels were not included in Pioneer Air Fighter as they had already been published in BIGGLES OF THE SPECIAL AIR POLICE. Click on the red titles of these books to find out the full details.